There comes a time when we all have to face the reality. There is a chance your Windows 8.1 will stop working at one point or another or perhaps your device hardware will simply malfunction. 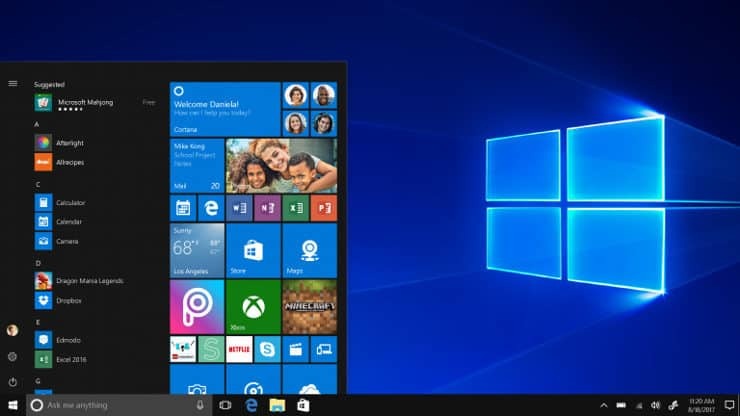 If your Windows 8.1 doesn’t boot correctly or it doesn’t boot at all there is a possibility that your registries in the operating system might be damaged beyond repair. Also having a copy of your operating system will help you greatly in this quest of fixing your Windows 8.1 if it doesn’t boot. You can read below to find out some useful fixes if your Windows 8.1 doesn’t boot correctly and also find out why you got this issue in the first place. In most of the cases Windows 8.1 users say that the loading screen in Windows 8.1 keeps running until it restarts or perhaps it passes the loading screen but you will get only a black screen with the mouse cursor after it loads. Windows 10 won’t start up – According to users, sometimes your Windows 10 won’t start up at all. This can be a big problem, but you should be able to fix it with one of our solutions. Computer won’t boot up black screen – In some cases your PC won’t be able to boot at all and you’ll end up with a black screen. Computer won’t start – This is a more serious error and it’s usually a sign of hardware problem. To fix it, be sure to check your hardware. Windows doesn’t boot after BOS update – Many users update their BIOS, but sometimes BIOS update can cause this issue to appear. In most cases BIOS update will reset BIOS to default, so you’ll need to change your settings in order to fix it. 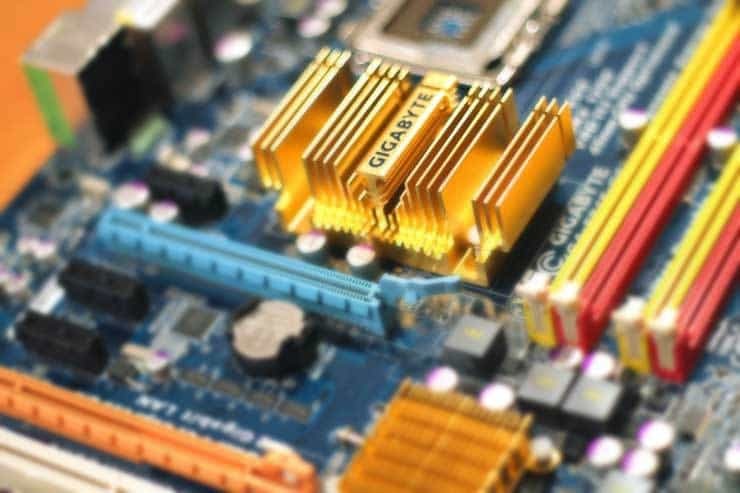 Windows doesn’t boot after RAM upgrade, new motherboard – This problem can also occur after you change your hardware. Many users reported this issue after installing new RAM or a new motherboard. Windows doesn’t boot after overclock – Many users reported this problem after overclocking their hardware. If you have the same issue, just remove your overclock settings and the problem should be resolved. Windows doesn’t boot blinking cursor – Users reported that their Windows can’t boot at all. Instead of starting normally, they are greeted with a blinking cursor. This is usually a problem with your graphics card and its drivers. Windows 10 boot failure – Many users reported Boot failure message on their PC. This message usually appears if there’s an issue with your hard drive. Windows doesn’t work, load – Another problem that users reported is the inability of Windows to work or load. This can be a big problem, but you should be able to fix it by using one of our solutions. If the Windows 8.1 device isn’t powering up at all when you press the power button the first thing you need to check is the power supply. 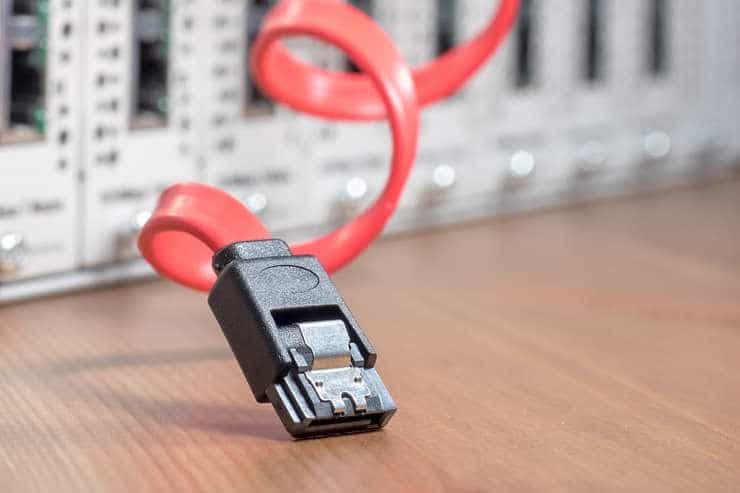 If your power supply is fried then your PC won’t respond to anything.Note: Also check the power outlet in your house, you might not have power to the socket where you plugged the device. If you hear a continuous beeping when the computer starts and Windows 8.1 won’t load then you will need to check your RAM memory.First check if they are plugged correctly in their sockets and if it doesn’t work then unplug one at a time and try to boot, if it boots only with one RAM memory then you need to replace the other one. If you have a Windows 8.1 laptop and it doesn’t boot then try removing the power adapter, the battery and any other peripherals you have plugged in. After you have everything unplugged hold down the power button of the Windows 8.1 laptop for about 50 seconds then reconnect everything and try to start it. While the Windows 8.1 device boots up you could try continuously pressing the F8 button or the Shift and F8 combination. 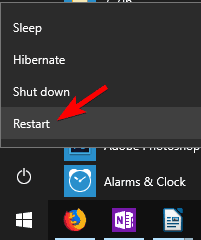 If that doesn’t work open the Start Menu, click the Power button, press and hold the Shift key and choose Restart from the menu. Now choose Troubleshoot > Advanced options > Startup settings. Click on Restart button and choose Safe Mode after your PC restarts. If your Windows 8.1 device booted into Safe mode then try to remember any software you recently installed before having this issue. Try uninstalling the software and try again to boot normally to see if it works. Undo from Safe mode any recent changes you might have made to Windows 8.1 system files. From Safe mode run a system check with your antivirus and see if it finds anything that might make your Windows 8.1 malfunction. 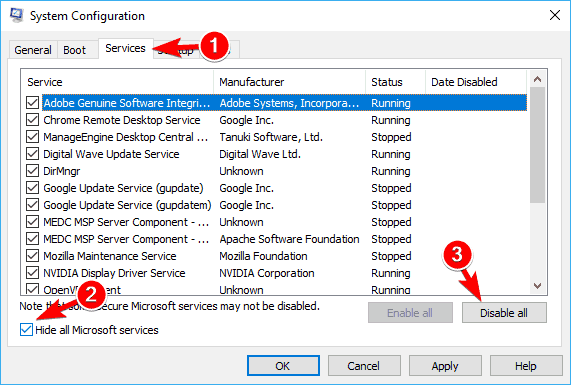 Try doing a System Restore in your Windows 8.1 system to get your system to a previous state and possibly fix any issues you might have encountered. Press and hold the Windows key and the R button. 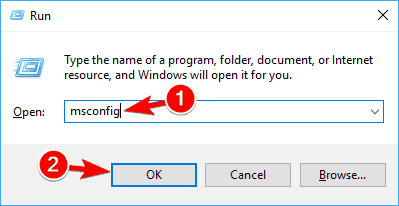 Type in the Run window msconfig. Press Enter or click OK to run it. Left click on the Services tab now. Check the box next to Hide all Microsoft Services. Left click on Disable all button. 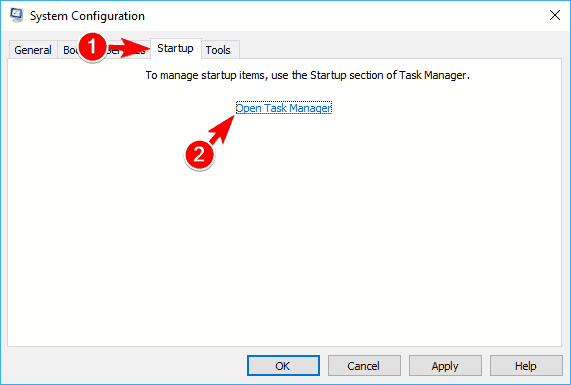 Go to Startup tab and click on Open Task Manager. List of all startup applications will now appear. Select the first entry on the list, right click it and choose Disable from the menu. Repeat this step for all entries on the list. 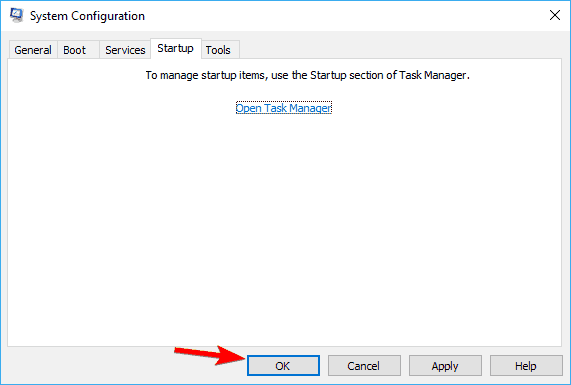 After you’re done, close Task Manager, go back to System Configuration window and click on Apply and OK to save changes. Reboot the Windows 8.1 device and see if it boots normally. 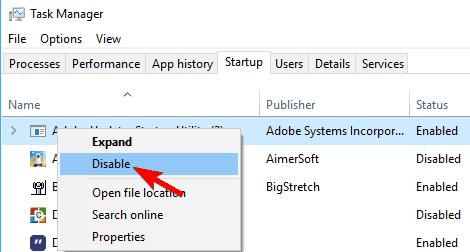 If your Windows 8.1 loads up then one of the apps you disabled is causing your system to crash. To find the problematic application, you need to enable apps one by one until you find the cause of the problem. After doing that, you just need to remove the problematic application, and the issue should be resolved. If your Windows doesn’t boot, that can be due to your USB devices. Several users reported this problem, but after disconnecting all their USB devices from the PC, the computer booted without any problems. 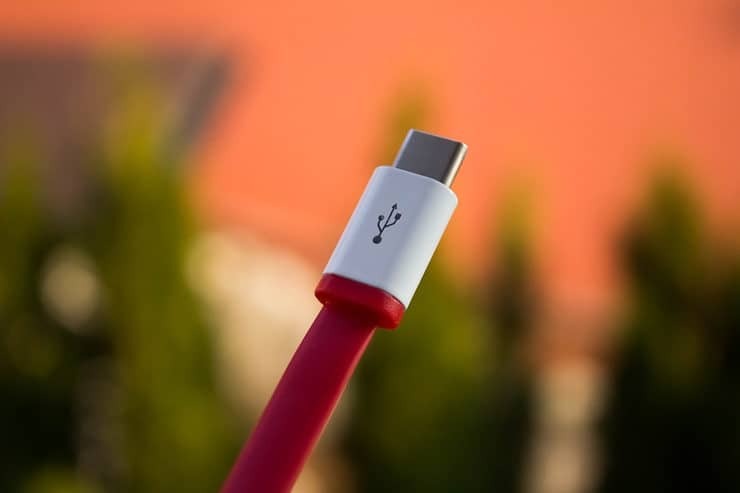 In addition to USB devices, the problem can also be your network adapter, so we advise you to disconnect the Ethernet cable from your PC and check if that solves the issue. Keep in mind that this isn’t a universal solution, so it might not work for you. If your Windows doesn’t boot, the problem might be related to your hard drive configuration in BIOS. Few users reported that their SATA Controller mode switched from AHCI to IDE causing this problem to occur. The solution is relatively simple, and you just have to enter BIOS and set your SATA Controller to AHCI or any other value that you were previously using. After doing that, you just need to save changes and your PC should boot without any problems. Keep in mind that almost every version of BIOS is different, so in order to see how to access BIOS and how to change SATA Controller, we strongly advise you to check your motherboard manual for detailed instructions. Several users reported that their Windows doesn’t boot, and according to them, the issue was their BIOS configuration. Apparently, their BIOS was set not to restart after a power failure. However, for some unknown reason their BIOS would interpret any restart as a power failure causing this problem to appear. To fix the issue, you just need to enter BIOS and change the setting that prevents it to start after a power failure. Keep in mind that not every BIOS supports this feature, so be sure to check your motherboard manual to see how to find and disable this feature. If your PC has both dedicated and integrated graphics, you sometimes might experience this problem. According to users, if Windows doesn’t boot, the problem might be your dedicated graphics. The easiest way to fix this issue is to switch to integrated graphics in BIOS. To see how to do that, we advise you to check your motherboard manual for detailed explanation. 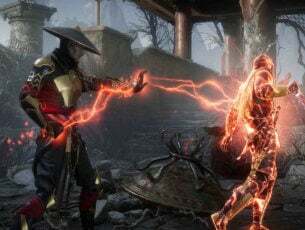 Several users reported that their dedicated graphics didn’t have the necessary drivers causing this problem to appear. After switching to integrated graphics and updating the drivers manually, the issue was resolved. To see how to update your drivers, be sure to check out our guide on how to update graphics card drivers. If your Windows doesn’t boot, the problem might be related to your SATA cable. Sometimes your cable can become loose and that will prevent your system from booting. To fix this problem, you just need to check your SATA cable. Simply power down your PC, disconnect it from power outlet and open your computer case. Now look for your hard drive and check if its cable is tightly connected to it and to the motherboard. After you connect your hard drive properly, the issue should be resolved. 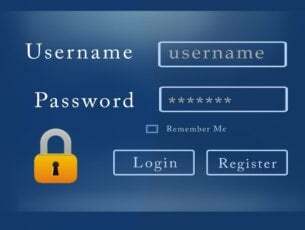 Also you can write us below in the comments section of the page if you have any other questions regarding this article or tell us if the methods above worked for you or not. Editor’s Note: This post was originally published in October 2014 and has been since completely revamped and updated for freshness, accuracy, and comprehensiveness.